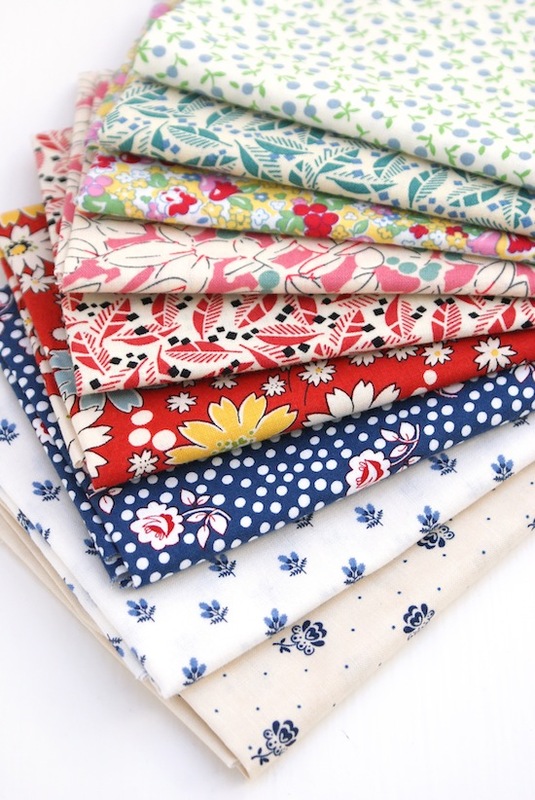 Like myself, Tiina is a big fan of the reproduction prints and has a lovely selection available in store. 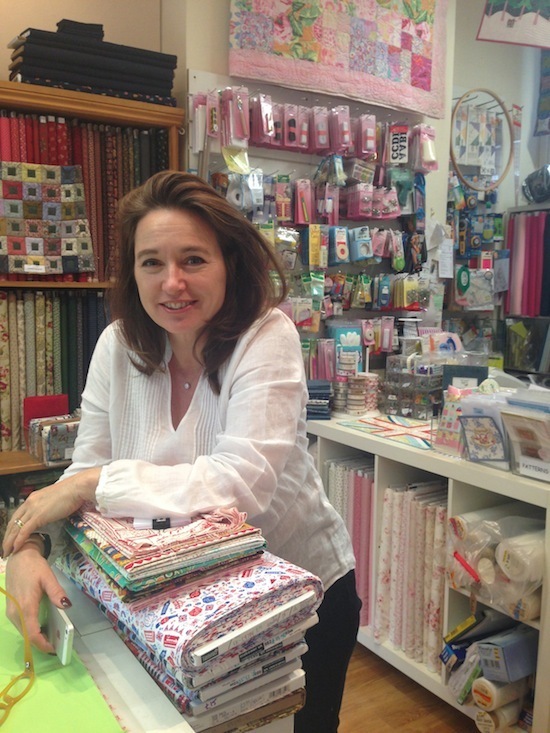 I couldn't help but notice the amazing quilts dotted around the shop too, lovingly made by Tiina, unfortunately I didn't get photo's of anything really because I was too busy chatting and drooling over the fabric on offer! After a lot of deliberating I came out with this little selection, which I think is very restrained, don't you agree?! All very vintage, and pretty, just my cup of tea. I particularly love the two civil war repro's at the bottom, I'd love to do a quilt with a civil war palette some day as well, so I'd better collect a few more! A great excuse for more fabric hoarding of course. I also got a new-to-me book on Cross-Stitch quilts or postage stamp quilts - or if you're a 'modern' quilter, the pixelated quilts! Whatever they are, I love the look of them and I've always wanted to try out a design some day, so hopefully now I will. So if you're in London for a visit, be sure to stop by! I just finished reading "A Fine Romance" by Susan Branch, and this makes me want to cross the pond even more! What a cute shop! You are one lucky girl! What a lovely shop! 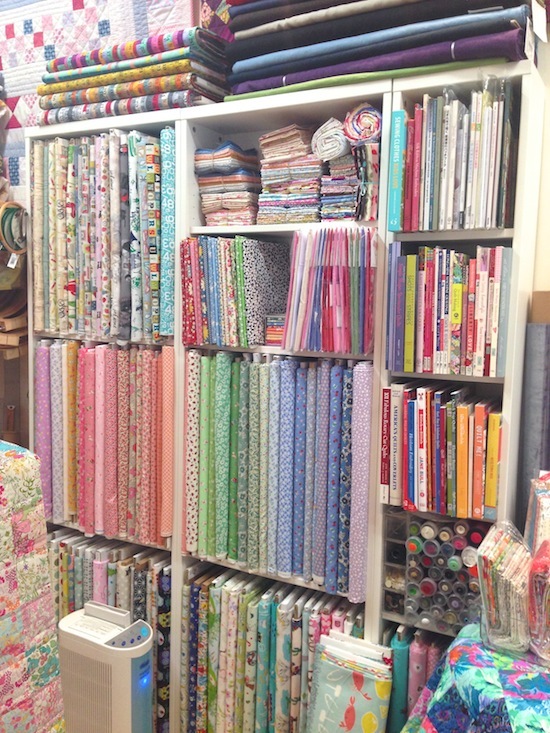 Those fabrics, with all those bright colors! Over here (in The Netherlands) reproduction fabrics seem to mean a lot of beige and brown. 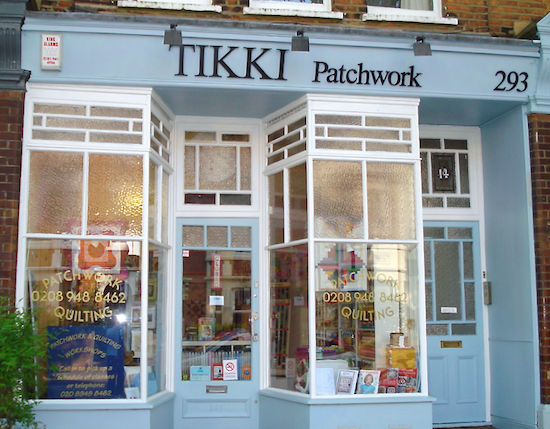 I will put Tikki on my to do list for when I am next in London. And love your shoes!! I really should get in to London more, and definitely need to visit the shop! Looks like you could stay in there for hours! Love how you modernised the description of those quilts to "pixelated" ... Off to check out the book. That looks like a most awesome quilt store!! I am drooling over here in the US!!! I would have lost my wallet in that store!